The bombs may not be real, but the fear is. New York, NY — January 18, 2017 … The doors are always kept open. No one standing over them. All may come and go. It’s the Jewish tradition of “welcome the stranger”. But this practice, this age old honored Jewish value may now very well change in Jewish facilities throughout the United States. It is evening now in New York, Miami, Chicago and Los Angeles. 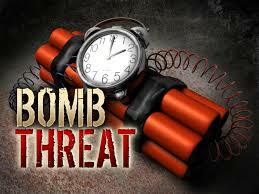 Since sunrise there have been at least 28 bomb threats at 28 Jewish facilities in 17 states. At least 28 phone calls placed by a female this morning informed those at Jewish Community Centers that there was a bomb in their building. Hundreds of men, women and children quickly evacuated these buildings as police and FBI rushed in. Were there any bombs? Not one. It was a hoax. But the real words are not hoax or fake – the real words here are psychological warfare. Psychological terrorism designed to disturb, disrupt and cause fear. Did American Jews really think that their tranquility would go unnoticed by those who hate them? That soft targets are exactly that – just waiting for a bomb or gun to happen. The rude awakening is here. Good morning American Jewish brothers and sisters. Welcome to how we live and work in Israel. Only difference – we are prepared and as such we do not fear entering our shopping malls, beaches, restaurants and holy places. The bomb threats that were called in today and last week when 16 Jewish facilities were warned of explosives that were ready to go off more than likely was not the work of Islamic Jihadists. They don’t operate like that. Jihadists don’t provide telephone calls that warn their victims. They simply go about their mission to murder as many as they can and praise Allah. The pattern here of creating fear among Jewish communities most likely comes from Neo-Nazis. For the past month they have been playing mind games with the citizens of Whitefish, Montana. Making online threats against their Jewish residents and proposing an armed march through the ski town’s quiet, country streets. Do American Jews truly have much to fear? Not really, if they take a few simple steps. 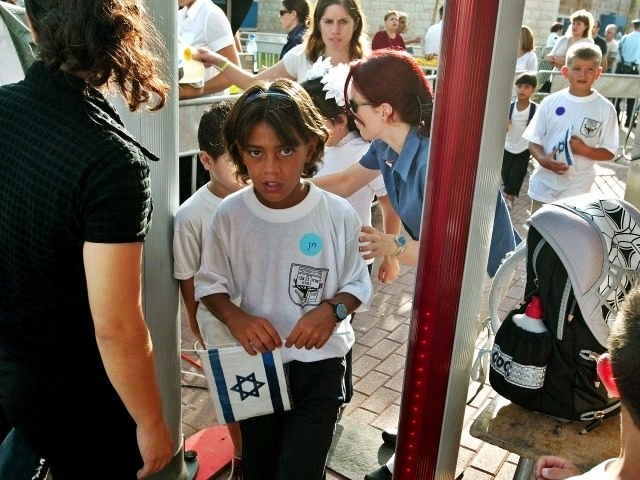 Measures that we live by in Israel that are not so bad – in fact they truly provide a sincere feeling of security. Jewish facilities throughout the US need to buy walk through metal detectors and place them and an armed security guard at the entrance of their buildings. There are many other security measures that can be taken, but it’s not for the open Internet. But let’s start with metal detectors and armed guards. Let’s start with creating a “sterile and safe environment” for the Jewish children who attend Hebrew school, Temple services and swim and play tennis at the Jewish centers. Let’s provide American Jewish children and their parents with real security that will reduce if not eliminate any fear and anxiety they may have experienced today. If we eliminate our fear – we eliminate those who use fear as a weapon. The days of welcoming the stranger must now transcend to where both you and the stranger will feel more secure, more relaxed and able to focus on your children’s smiles and not their tears. The real upside over today’s bomb threats were that they were a warning. If we ignore these warnings, the next bombs could be very real. Stop Neo-Nazi use of “free speech” to incite hate, violence!